Conservation in Tumbesian Ecuador and Peru. Cambridge: Birdlife International Publications, 1995.
de la Pena, Martin R., and Maurice Rumboll. Guide to the Birds of Southern South America and Antarctica. Princeton: Princeton University Press, 1998. Feduccia, Allan. The Origin and Evolution of Birds. New Haven: Yale University Press, 1999. Ridgely, Robert S., and Guy Tudor. The Birds of South America. vol. II, The Suboscine Passerines. Austin: University of Texas Press, 1994. Lanyon, S. M., and W. E. Lanyon. "The Systematic Position of the Plantcutters, Phytotoma." Auk 106 (1989): 422-432. Lopez-Calleja, M. V., and F. Bozinovic. "Energetics and Nutritional Ecology of Small Herbivorous Birds." Revista Chilena de Historia Natural 73 (September 2000): 411-420. Lopez-Calleja, M. V. and F. Bozinovic. 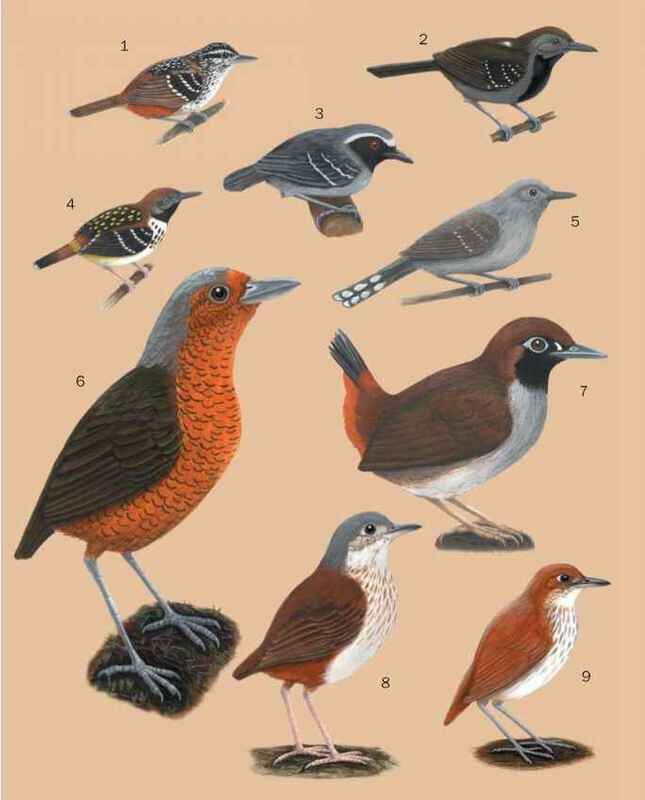 "Feeding Behavior and Assimilation Efficiency of the Rufous-Tailed Plantcutter: A Small Avian Herbivore." Condor 101 (August 1999): 705-710. Meynard, C., M. V. Lopez-Calleja, and F. Bozinovic. "Digestive Enzymes of a Small Avian Herbivore, the Rufous-Tailed Plantcutter." Condor 101 (November 1999): 904-907. Prum, R. O., N. H. Rice, J. A. Mobley, and W. W. Dimmick. "A Preliminary Phylogenetic Hypothesis for the Cotingas (Cotingidae) Based on Mitochondrial DNA." Auk 117 (2000).